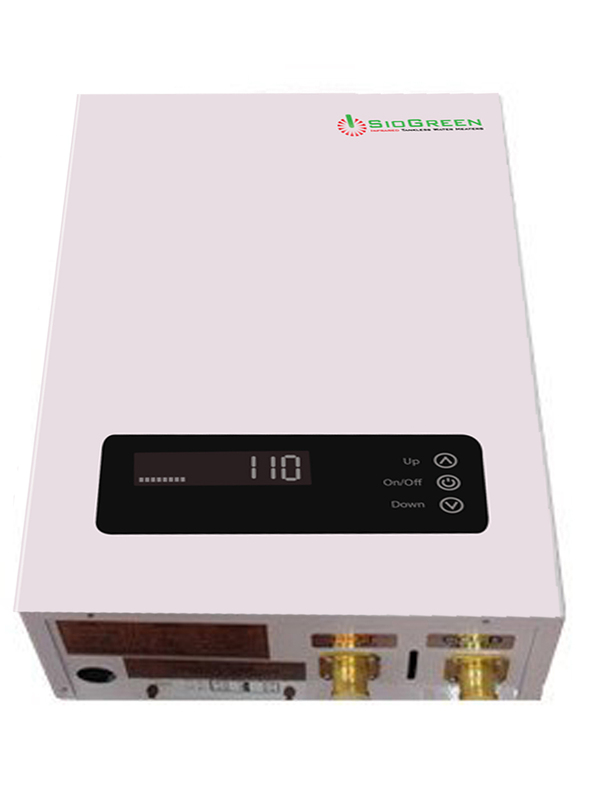 This portable electric tankless point of use water heater utilizes the latest technology in Quartz Infrared heating elements to provide instant and continuous hot water using regular 220VAC household voltage. By using infrared energy to heat the water it also helps to break down hard water deposits. 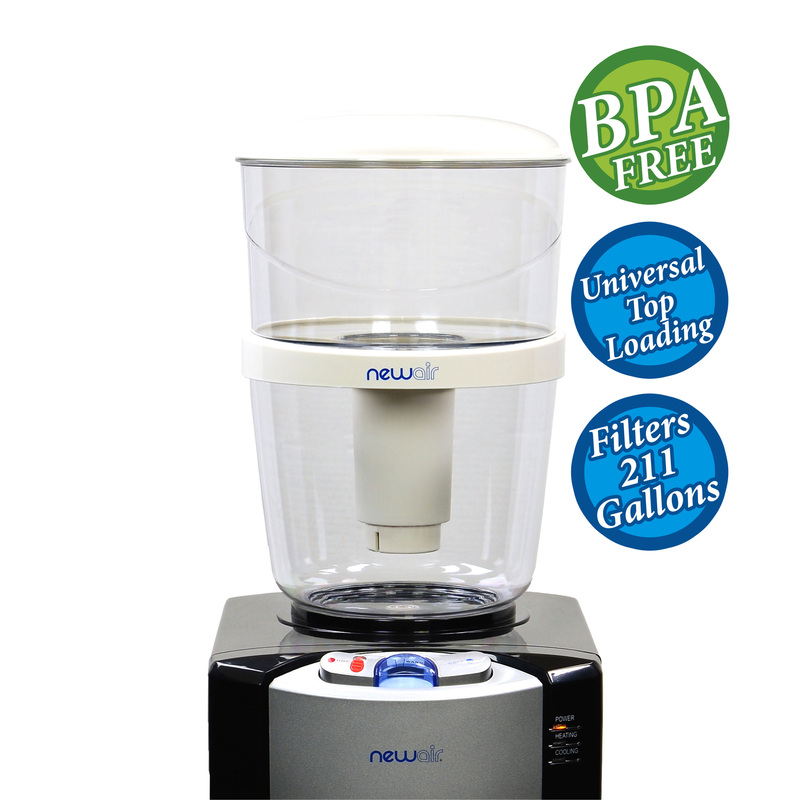 The self-cleaning and maintenance free operation is a great selling point. This unit can be used anywhere you have access to a water supply and electricity, and it’s small, lightweight, and very easy to install. This type of electric water heater energizes your water with infrared energy that creates heat without requiring direct contact with the water. 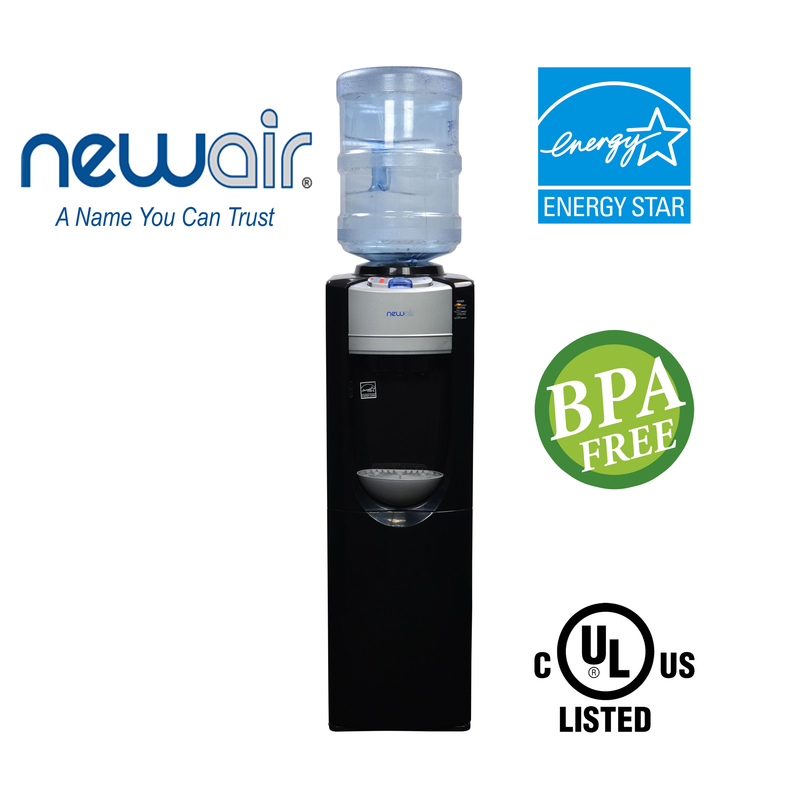 Unlike conventional tank water heaters that experience efficiency loss and corrosion problems due to metal heating elements in the water tank, this type of tankless water heater heats and conditions the water while breaking down hard water deposits, all without the heating elements having direct contact with the water. This design is self-cleaning and maintenance-free, and it minimizes the chance for bacteria and algae to accumulate in the water. Due to the cutting edge technology used in this model, it can save you up to 60% per month in energy costs, which can add up to significant savings each year. And, since the model typically lasts well over ten years, you will save on replacement costs over time. The SIO14 point of use water heater is ideal for a large apartment or town home with up to three (3) people. The SIO14 POU is the mid-range model for residential use that can heat over 2.5 gallons per minute. So, it can handle a shower and a sink in cool climates and two showers in warm climates. 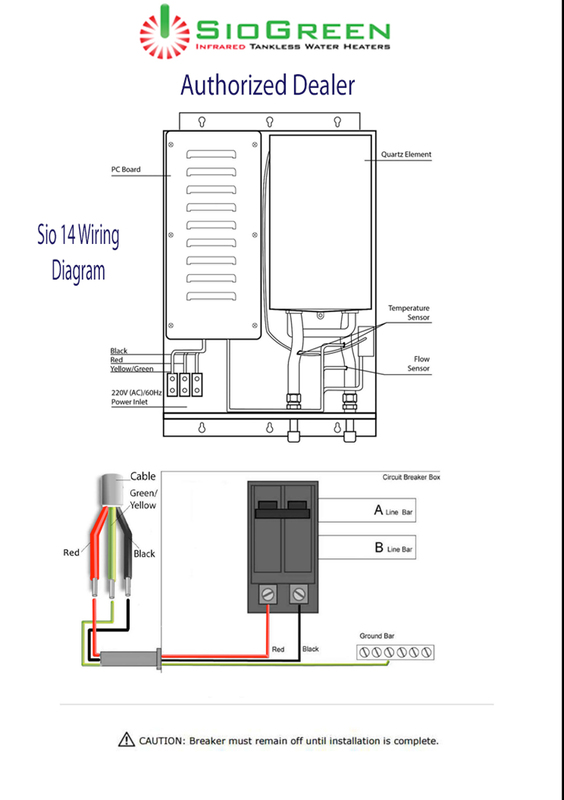 SioGreen SIO14 may just be the solution to your Multi POINT OF USE hot water problem. Installation Requirements Must be installed by a licensed contractor according to local building codes. Warranty Registration Online or fill out and submit warranty card. Usable for Radiant Heat? Yes, radiant heat is an application design that uses a closed re-circulation loop. Solar Panels SioGreen heaters can be used as Solar Backup with the Solar Storage tank. Life expectancy of the Quartz Heating Elements Without direct contact with the coating, the estimated lifecycle is 10-20 years, depending on application and usage. 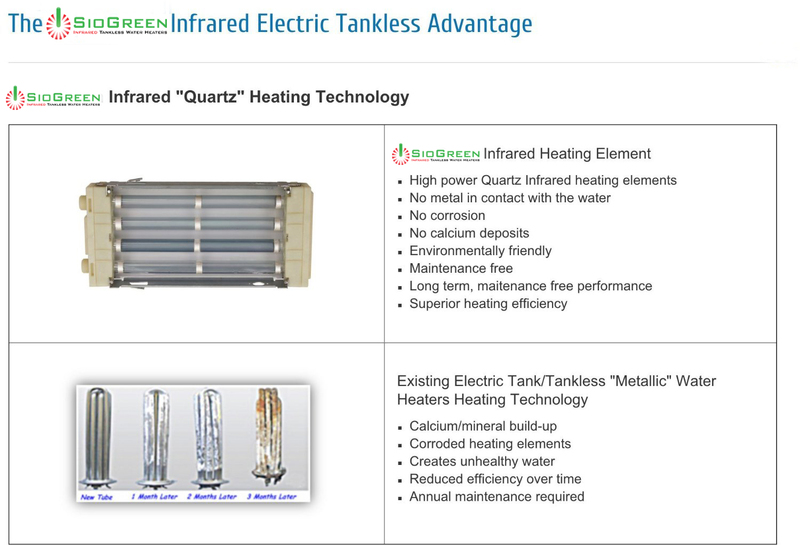 Reduces Energy Cost up to 65% compared to any current Electric Tankless Water Heater on the Market. 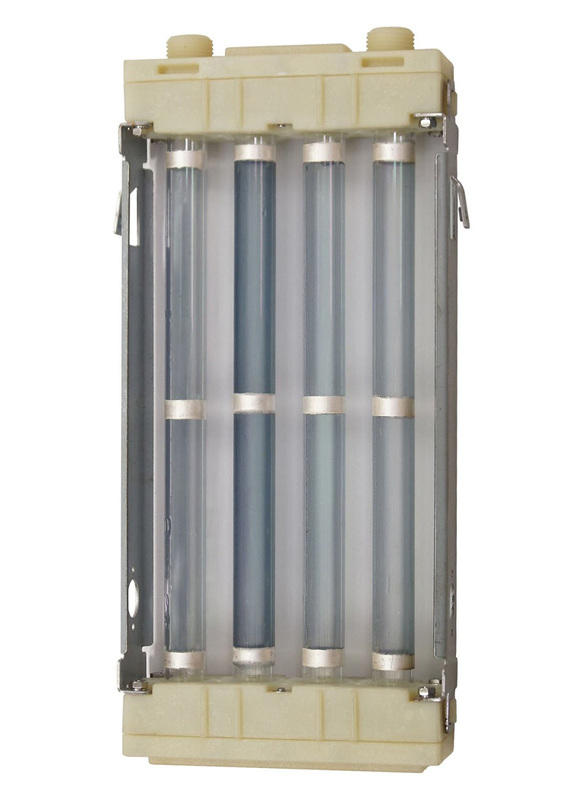 Uses lower amperage, maintains higher water flow capacity, and integrates into various applications. 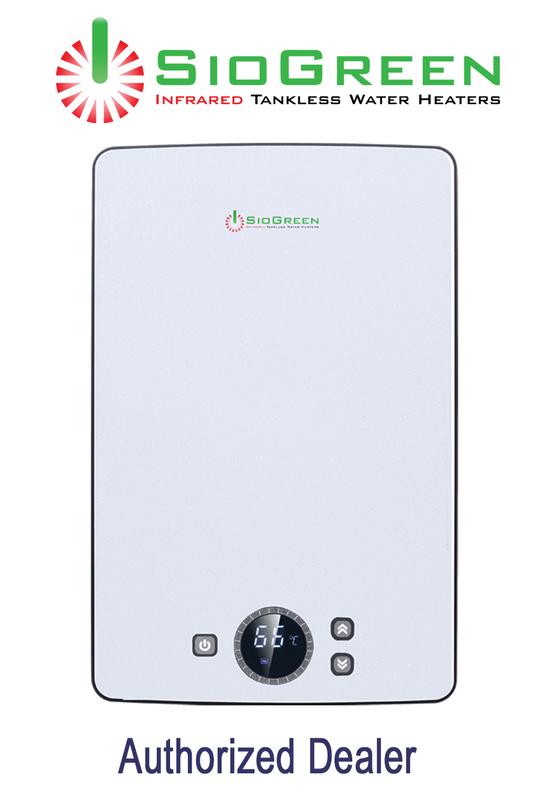 Many of the SioGreen units are EXCELLENT for use in Hybrid hot water delivery systems. The larger SioGreen units integrate well with Radiant Heated Floor Systems. Can be installed in series and for recirculation. Clearwater, FL – SioGreen Inc. was founded in 2008 by Henry Mai, who established many small businesses with a great mind for innovation and ingenuity. 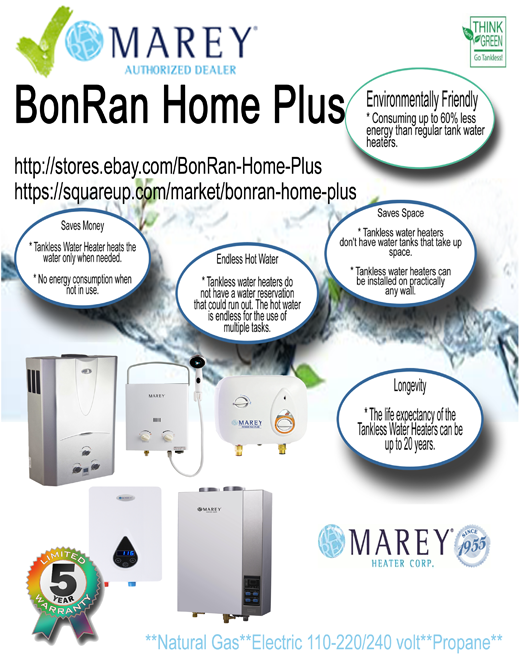 After a few bad experiences with residential water heaters, Henry Mai quickly understood the need to find a better solution for consumers and aimed to resolve the challenges these products face today. Previous technology, which accounts for a majority of the homes today, will heat a tank full of water from the inside with metallic heating elements. The elements eventually corrode and efficiency decreases rapidly. This leads to high electricity bills, unhealthy water, and expensive equipment costs for maintenance or product replacement. In most electric tankless designs, water flows past heating coils to produce the on-demand hot water, rather than keeping it stored. However, the results are still the same. 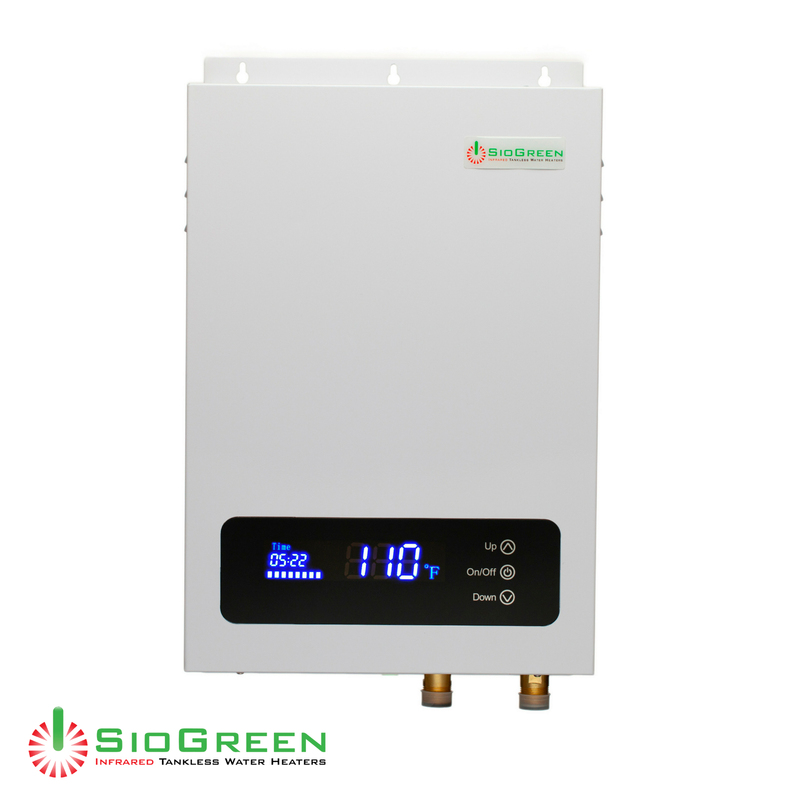 SioGreen Tankless offers Space Savings, Lower Equipment Costs, Improved IAQ/No NOX, Reduced Energy Cost, Environmental Benefits, Maintenance Free Operation, Long Life-Span, Water Conditioning, Safe Recovery Mode and Recyclable Materials. 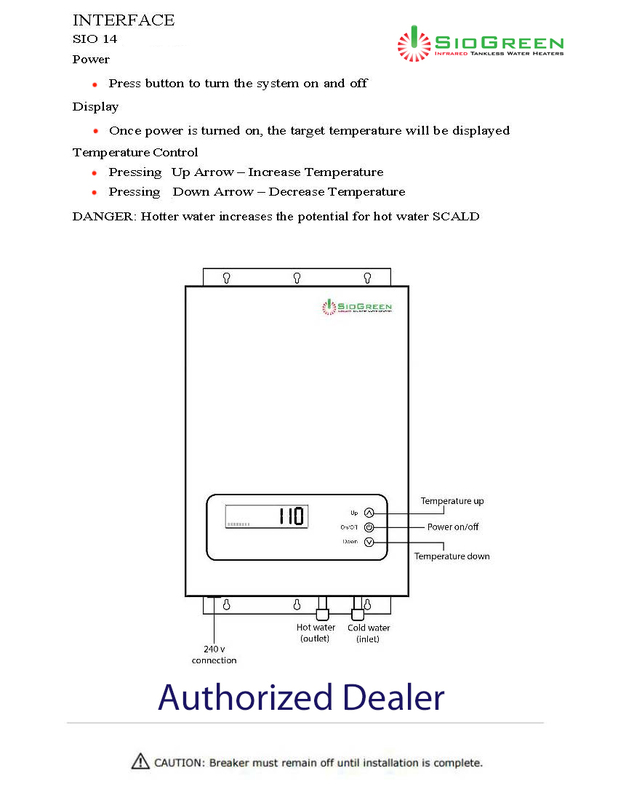 Manufacturer only warrants to the original purchaser at the original installation address of purchaser (collectively, the “Buyer”) the hot water generator and its components as manufactured by the Manufacturer (the "Product") to be free from defects in materials and workmanship, under normal use and service for the period of time identified below beginning from the date of installation. Manufacturer Warranty is only offered if the Manufacturer products are installed by a licensed contractor In accordance with National and Local Codes having jurisdiction governing the installing area, and installed to Manufacturer Specifications using all included components supplied by Manufacturer and other parts that may be required to protect equipment . Warranty is 100% void if unit has been opened. Product misuse, tampering or misapplication, accidental damage, or improper installation. Product failure caused by chemical corrosion, or freezing. Product failure due to lightning, flood or other natural or man made calamities. Costs incurred for shipping, delivery, handling, and/or administrative charges. Labor charges of any kind. Manufacturer will replace the defective unit on a prorated basis, in accordance with the terms of this Limited Warranty, if it fails in normal use and service during the Applicable Warranty Period. Manufacturer shall not be liable for incidental, consequential, special or contingent damages or expenses arising, directly or indirectly, from any defect in the hot water generator or the use of the hot water generator. Manufacturer shall not be liable for any water damage arising, directly or indirectly, from any defect in the hot water generator component part(s) or from its use. Some states do not allow the exclusion or limitation of incidental or consequential damages, so the above limitation or exclusion may not apply to you. This warranty gives you specific legal rights and you may also have others. Registration can be done by filling out and mailing in the warranty card or online by visiting the SioGreen website. FREE Shipping to U.S. Mainland addresses only. We do not offer free shipping to Alaska or Hawaii, however we do ship to those locations. Enter your zip code under the Shipping and Payments tab to get your rate. We do offer International Shipping on this Item, contact us for a quote. When product has been paid for, we will submit the order to be processed and shipped within 24 hours. Weekends and holidays are excluded. Shipping time may vary due to your requested delivery location. Your shipment will originate from a warehouse nearest to your location if possible. Most items are shipped FedEx, USPS and UPS. You will receive a shipping update email containing a tracking number. If your package arrives damaged, refuse the shipment and contact us. If the shipping company has left before you realize the package is damaged, contact us immediately. Concealed damages must be reported to the carrier within 24 hours of receipt. All shipping and handling cost are non-refundable. If buyer provides incorrect address or refuses delivery, the original actual shipping cost will be deducted from any monies refunded. As per our contract, we can not sell or ship to the UK or Viet Nam. Units must be in new unused condition the same as when shipped from the warehouse. 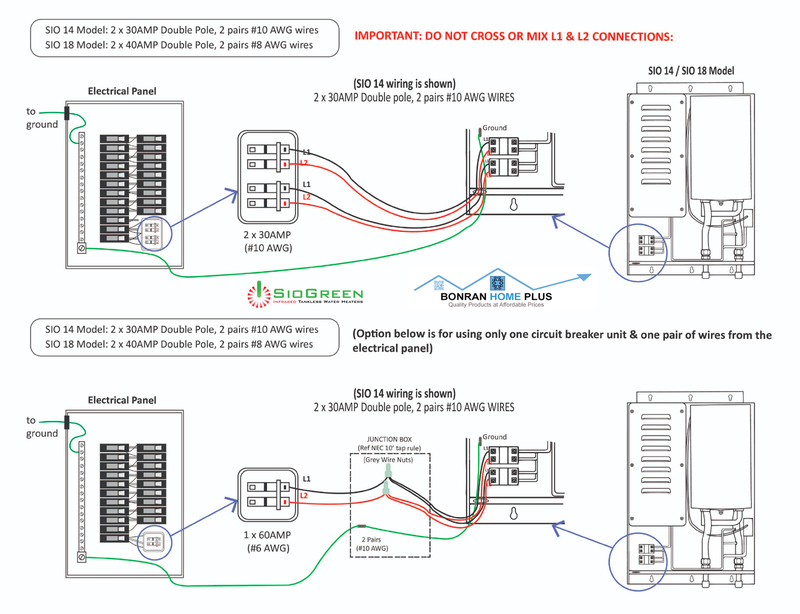 Follow the detailed return instructions that we provide to you, which include the RMA# and shipping address to the SioGreen. You will then receive your refund after a SioGreen service technician inspects the returned product and has issued a credit memo. Buyer is responsible for all shipping costs associated with the 30 day return, plus all returns are subject to a restocking fee. *Free Return Shipping only available on units with actually manufacturer defects. Refunds will not be issued on products that have been broken or damaged! Product defects are covered by SioGreen's Warranty as verified by the manufacturer. Buyer must consult with a SioGreen Service Technician and the unit deemed to have a factory defect. Units not functioning properly due to "customer set up" DO NOT qualify as a manufacturer's defect. Returned units that have been damaged by buyer will be subject to restock fee or possible rejection of return claim. Who is BonRan Home Plus? We are an Authorized Dealer for many different quality products. Because we offer products that bring solutions, efficiency, comfort or pure enjoyment for a relaxing environment in the home or workplace. Our feedback reflects how we do business and treat our customers. "We Want to do Business With You". 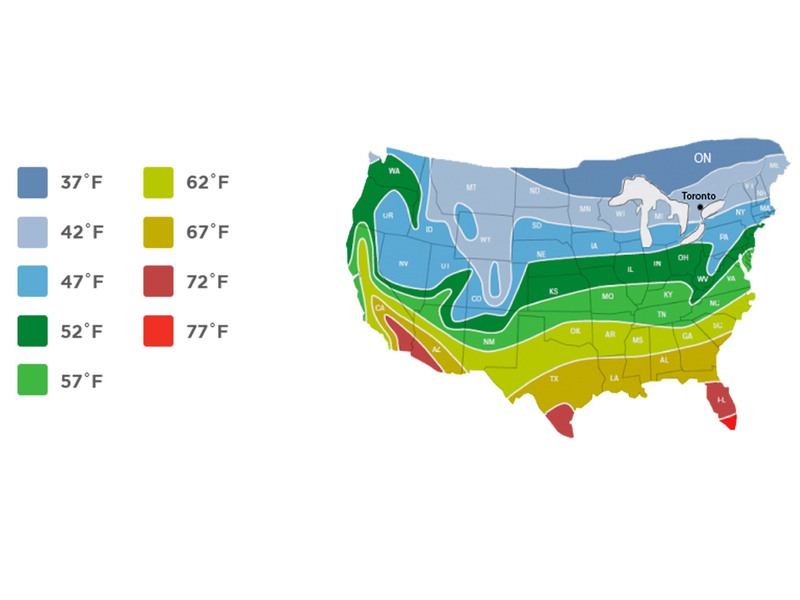 Please make sure you check out the Temperature Map and the Flow Rate Chart to determine which heater is right for you. 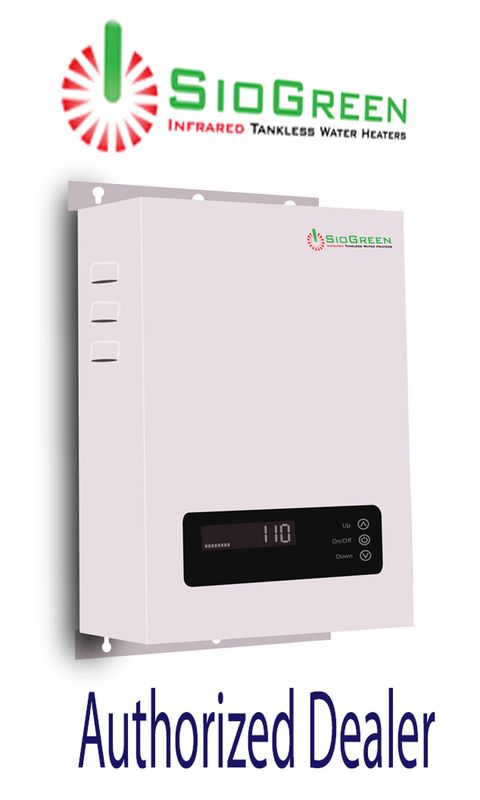 A point of use infrared tankless water heater can turn virtually any water source into an endless supply of hot water, without having to install a full, whole-building hot water heater or expand an existing water heating system. SioGreen today is the only manufacturer in the world that produces an instant hot water system with a Infrared Quartz heating element that serves distributors in North America, Europe, and Asia. All water heaters rely on a heating element of some type, generally this is in the form of hot metal components. Normally when the metal elements are introduced to direct contact with water, only the water in the immediate area of the heating element are affected. This can actually reduce the flow rates in the attempt to heat the water. Infrared technology works on the molecular level and because the far infrared rays affect all of the water it gets hot faster and more thoroughly. Scientifically the water is clustered with 5-12 water molecules. When the far infrared rays stimulate the clusters, the water molecule movement is activated. This is due to the resonance absorption. The number of water molecules which form the clusters are decreased and the result is activation/agitation of the water. As a result of this activation the infrared energy is able to heat the excited molecules on an individual basis ensuring the water is thoroughly heated at an accelerated rate. This allows SioGreen is operates at higher flow rates.